“Only four percent of American dentists are offered fellowship in the ICD, so it is truly an honor to be recognized as part of this elite group,” says Dr. Bradley. Dr. Bradley received his undergraduate training from the University of Kentucky. He received his Doctor of Dental Medicine (D.M.D.) 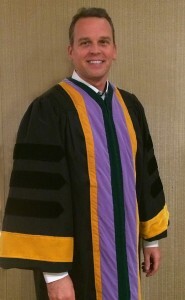 degree from the University of Louisville School of Dentistry in 1995. Since then, he has completed over 1,300 hours of post-graduate education, including coursework in short-term orthodontics, TMJ (jaw-joint) disorders, conscious sedation, dental implants, advanced restorative and cosmetic techniques, and sleep apnea. Established in 1928, the International College of Dentists (ICD) is the oldest and largest international honorary dental organization. The college has representative chapters in more than 120 countries, and over 11,000 members, including about 6,500 in the United States.